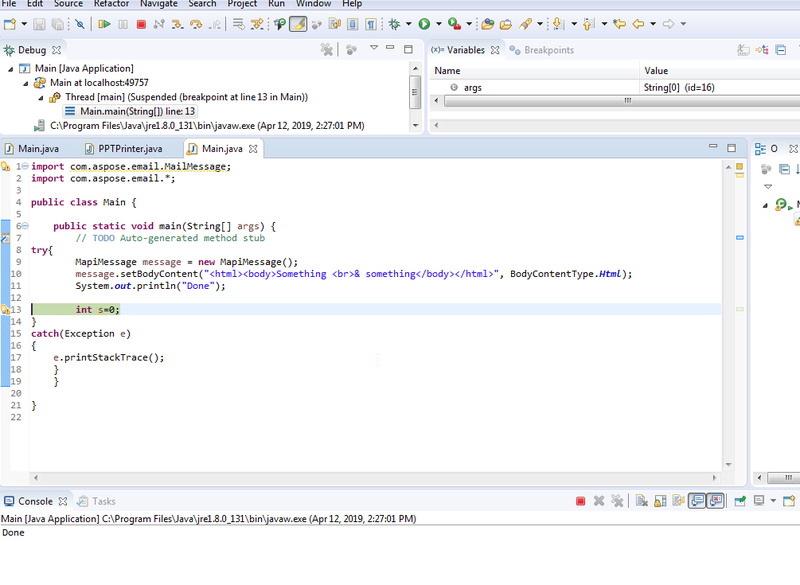 Exception when body contains "<br>& "
I have worked with the sample code shared by you using Aspose.Email for Java 19.3 on my end in Windows 7 with Java 8. I have not been able to reproduce the issue on my end. Can you please try using the specified version on your end. Thanks for the reply, looks like this issue was fixed in 19.2, I was using 19.1. It’s not reproducible anymore, thanks!